With fresh capital in its medicine cabinet, Denver startup Apostrophe hopes to serve self-insured employers with a more efficient way to help employees manage their health care. Apostrophe raised $1.15 million from 15 investors, according to a recent SEC filing. “We are going to use (the funding) to continue building out our new product and signing up new customers,” co-founder and CEO Cheryl Kellond said. One of its new products is a pay card for employees to use at doctor’s offices. Medical bills go straight to Apostrophe, which the startup handles and pays while settling accounts with patients and employers later. 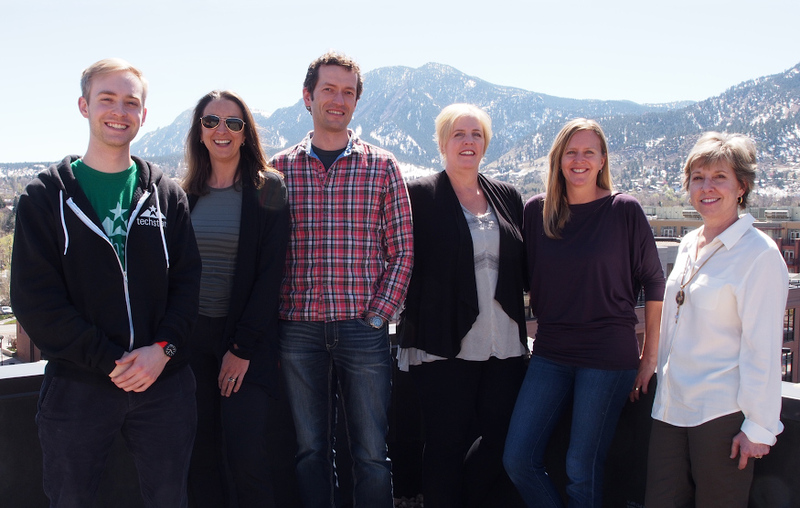 Apostrophe, previously called AirStream Health, launched a year ago and completed Boulder’s TechStars accelerator last month. The company’s seven employees work out of coworking building Spaces, where it has an office with fellow Techstars alum Sitter. Kellond’s co-founders include Julia Hutchins, a previous CEO at Colorado HealthOP, and Kathy Keating, a former Autopay executive. Kellond, 46, has experience founding companies, including fitness GPS watch maker Bia Sport and video advertiser Panache. The spark for launching Apostrophe came two years ago when she participated in Denver’s 10.10.10 program, led by Tom Higley for entrepreneurs to create solutions for health issues. There, she learned about Florida-based Rosen Hotels, which saved enough on revamped health plans that it could pay college tuition for employees and their children. For nine months, the startup has been testing its pilot program on current customers: 20 Colorado school districts with 2,000 members in more rural areas like Fort Morgan and Alamosa. Apostrophe looks to expand into other markets, including manufacturing or oil and gas companies, whose employees tend to be older and have high medical expenses. Patients can go to any doctor they choose because the startup does not have in-network or out-of-network providers. “We become their health plan. They deal with us like they’re used to dealing with Cigna or Anthem to get that best care at the best prices,” Kellond said. While not profitable yet, Apostrophe charges $40 per month per employee, and also takes out about 25 percent of the savings it delivers to employers. For the next six months, Kellond hopes to gain more customers within Colorado before expanding nationally.